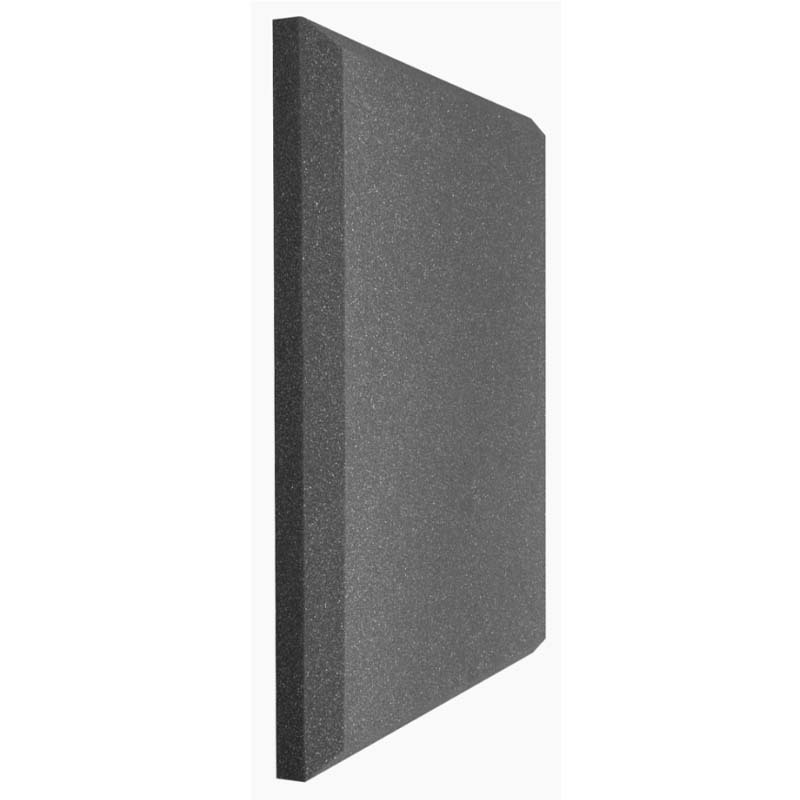 More on the Auralex Acoustics SonoFlat StudioFoam 1 x 1 ft. Sound Absorption Panels (Charcoal pack of 14) SFLAT1114CHA below. 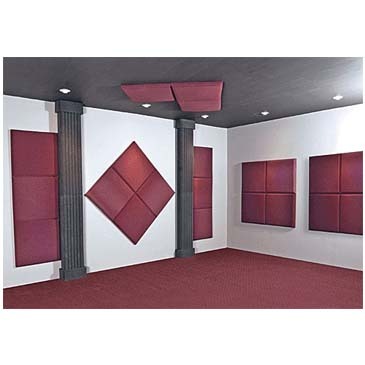 One of the most popular sound absorption materials on the market, these high-quality acoustic foam panels are specifically designed to alleviate slap and flutter echo, the two most common problems in rooms not specifically designed for music recording or performance. 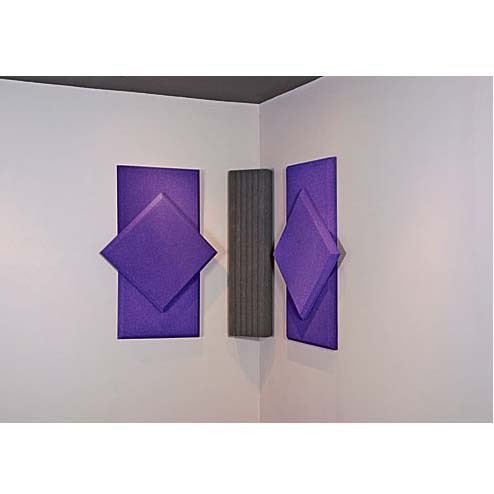 These panels offer great absorption of mid to high frequencies. 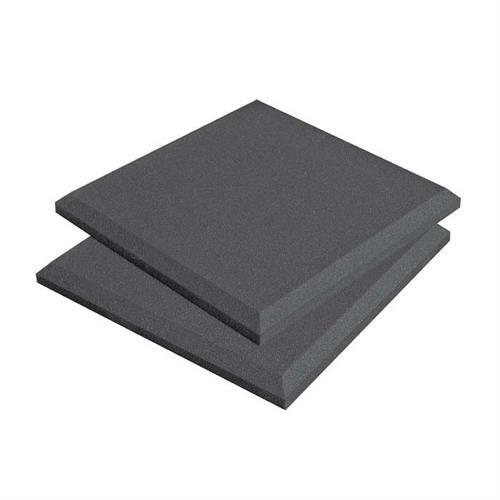 The edges are beveled, contributing to an elegant look not normally associated with acoustic foam. The panels can be installed easily and arranged in a multitude of attractive patterns and are suitable for wall or ceiling installation. 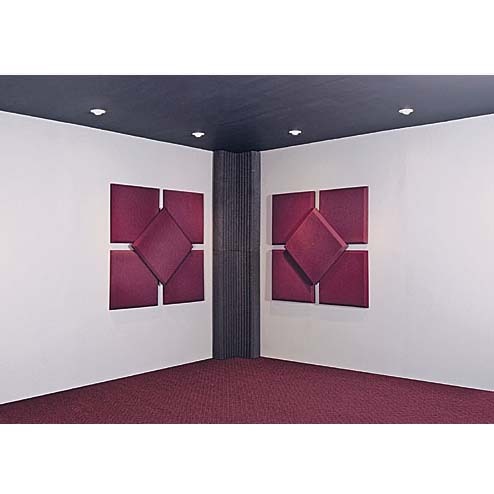 SonoFlat panels are aunique, cost-effective choice for accurate sound direction. Includes 14 individual charcoal panels, measuring 1 ft. by 1 ft. each. High-performance spot treatment, designed for mid- to high-frequency absorption. Sturdy and durable 2 inch thick StudioFoam construction that will not crumble with age. Also available in 2 ft. by 2 ft. panels (SFLAT). See related products below. 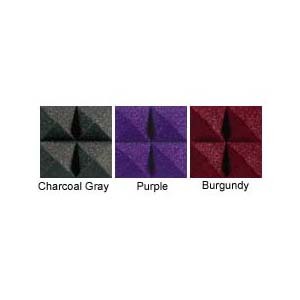 Available in 3 colors: Burgundy, Charcoal, and Purple. See related products below. PLEASE NOTE: Because of Auralex's standard manufacturing process, Sonomatt's dimple pattern will not be square to the edges of the panels. Side-by-side installation is not recommended for consumers who prefer visual consistency. 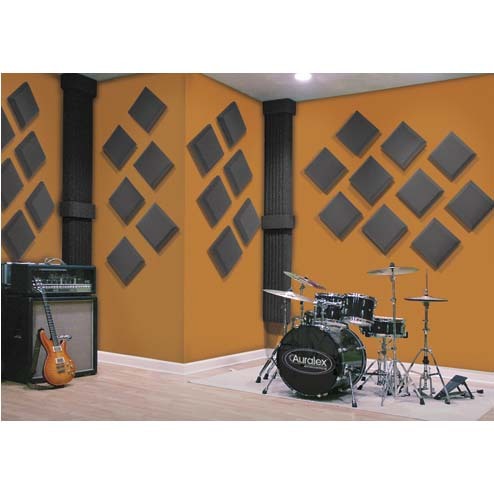 Sonomatts are a wonderful solution for spaces that also employ acoustical cloth. Suggested Adhesive: 1 Foamtak canister or 3 Tubetak tubes per 96 sq ft (sold separately).